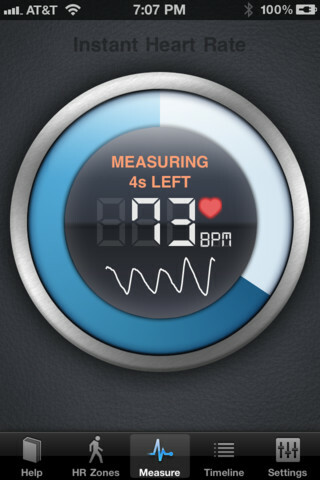 Heart rate is often measured in Beats Per Min (BPM), refers to how many times our heart beat in one min (60s). Normal resting heart rate is about 60-80 bpm. Exercise heart rate is often higher than this range. We can measure HR by placing our index and middle fingers on our carotid pulse or radial pulse. Modern technology had allow us to measure it by Heart Rate Monitors (HRM), which comes in the form of watch and a chest strap. Popular brands for HRM are Polar, Timex, Sunnto, Garmin and New Balance. 1) Gauge level of exertion: We can know how hard we are working out, and whether do we meet our training goals and target. Measuring HR gives us a tangible feedback regarding our workout efforts. 2) Safety: Person can stay within a safety zone and not overtrain themselves. This is important especially for older adults or people with certain medical conditions. 3) Efficiency of training: Athletes may want to maximise their training efforts. Coaches are able to assess accurately the progress of their athletes and plan training program accordingly. Eg. 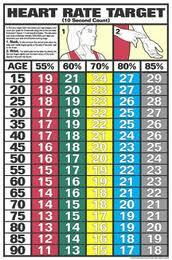 If a person is 30 years old, his MHR is 220-30=190 bpm. 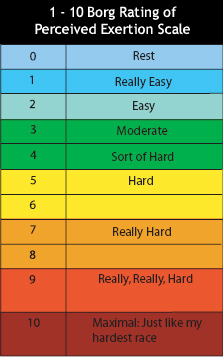 Next, we can refer to the chart for target heart rate zone. THe zones are expressed in % of the MHR. So, if our target is weight loss, we will aim to maintain our heart rate in the zone of 60-75% of his MHR. Therefore his heart rate zone for weight loss is 114-142.5 bpm. From the chart, we can get a quick estimation without needing to do a manual calculation. 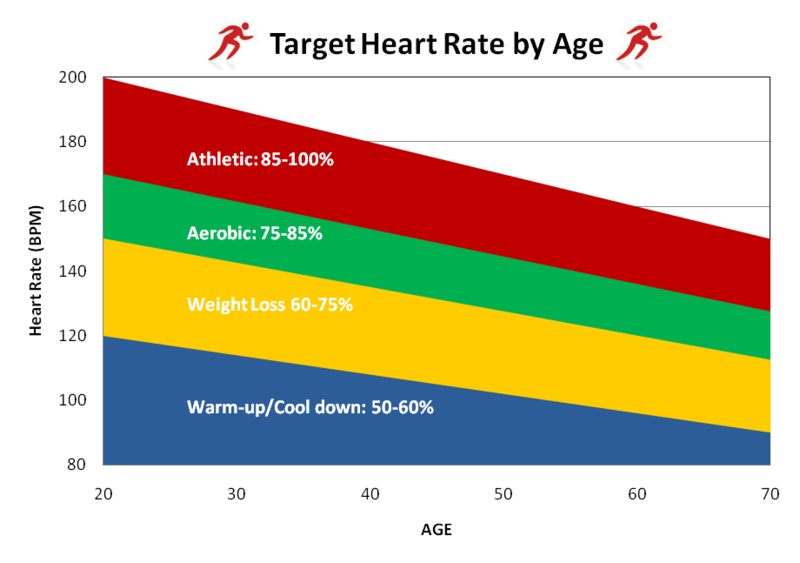 Note that our allowance for heart rate is lowered as we age. 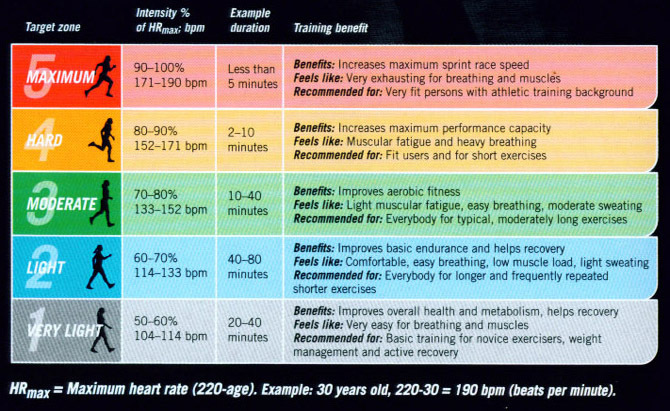 The next chart shows the detailed explanation of each heart rate zones. We can place our index and middle fingers on our carotid(neck) or radial (arm) pulse as shown in the figure below. Instead of counting our pulse for a full min. We can count only for 10s, and then multiply it by 6. Alternatively, you can refer to this chart which that had already done the conversion for you, so you do not need to multiply by 6. 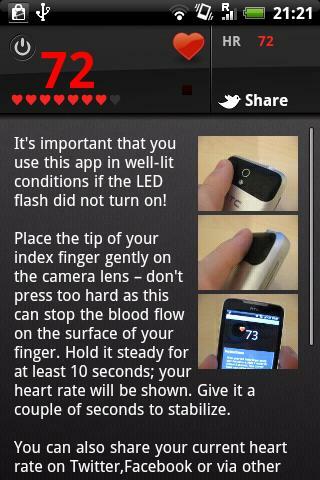 With all the above methods, you can now measure your heart rate accurately and easily! Last but not least, wish you all a fun and safe time working out! This entry was posted in Fitness Tips and tagged Heart rate, Heart rate monitor. Bookmark the permalink.